DEQ project manager Dave Bowers discusses the water treatment facility at the Montana Pole and Treating Plant Superfund site in Butte. July 20, 2018. The state Department of Environmental Quality has been in charge of cleaning up toxins in the soil and water leftover from the former wood treatment plant located just south and west of Butte for more than 20 years. 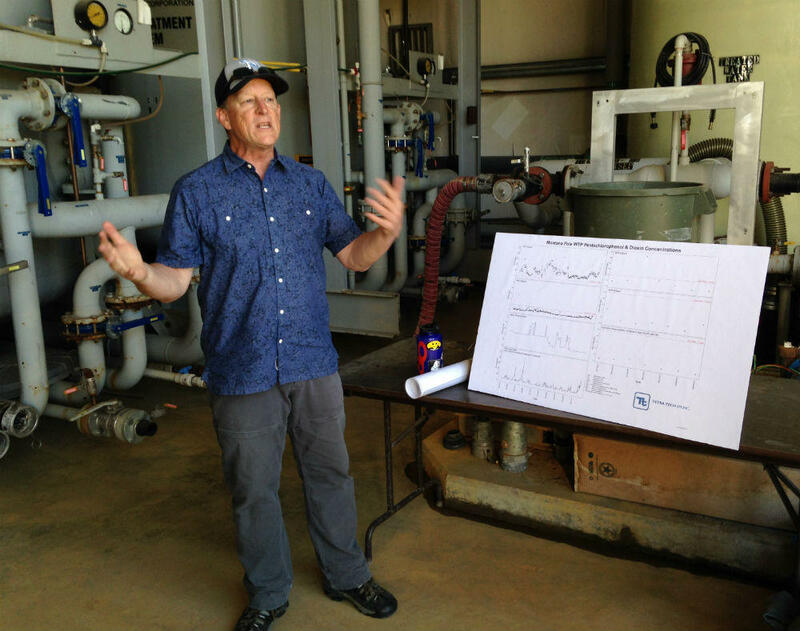 Standing in front of the water treatment plant there last week, DEQ project manager Dave Bowers said the agency is not going to meet their goal of finishing the cleanup of contaminated soils at the site this year. That’s not because they’ve hit any recent snags on the physical site itself. DEQ and the company they’re contracting with just need a green light to do the work, Bowers says. Part of the DEQ’s cleanup efforts have involved treating about 200,000 cubic yards of pentachlorophenol and dioxin-laced soil. But since the dioxins did not break down over time as expected, the state has decided to bury and cap the dirty dirt at a waste repository on site, which is a departure from the original 1993 cleanup plan. That new design now needs to be approved by administrators at the Environmental Protection Agency, and that’s where the DEQ is hitting a bureaucratic bottleneck. Since Butte’s other, much bigger Superfund site has recently been the target of intense work by the same agencies, Bowers says there’s limited staff and resources to go around. And that’s caused a delay on forward progress at Montana Pole. 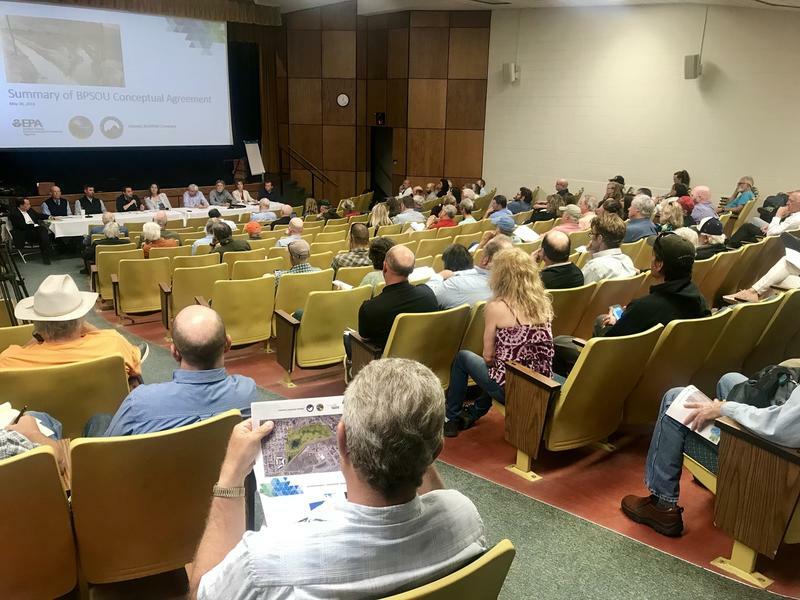 Once the waste repository design is approved by EPA, the plan will be submitted for a formal public comment period, which Bowers says will likely happen later this year. 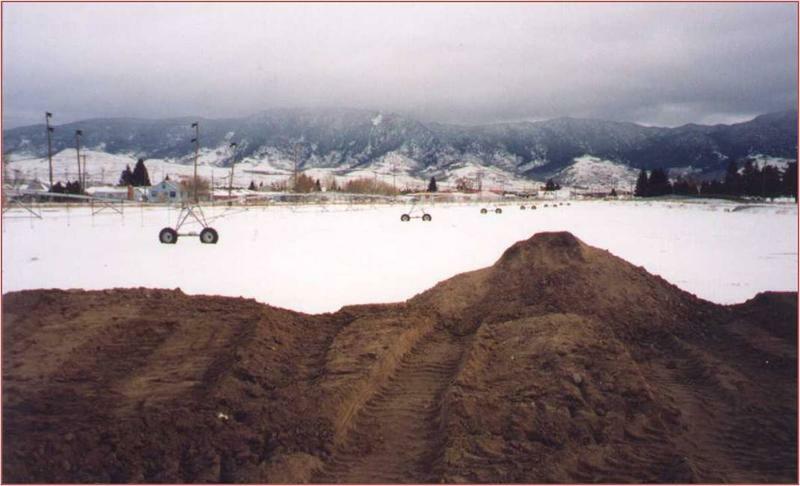 He anticipates that the caps will be done on that south portion of the Montana Pole site by the end of the 2019 construction season. After the cleanup is finished, the land will be made available for industrial and commercial use. 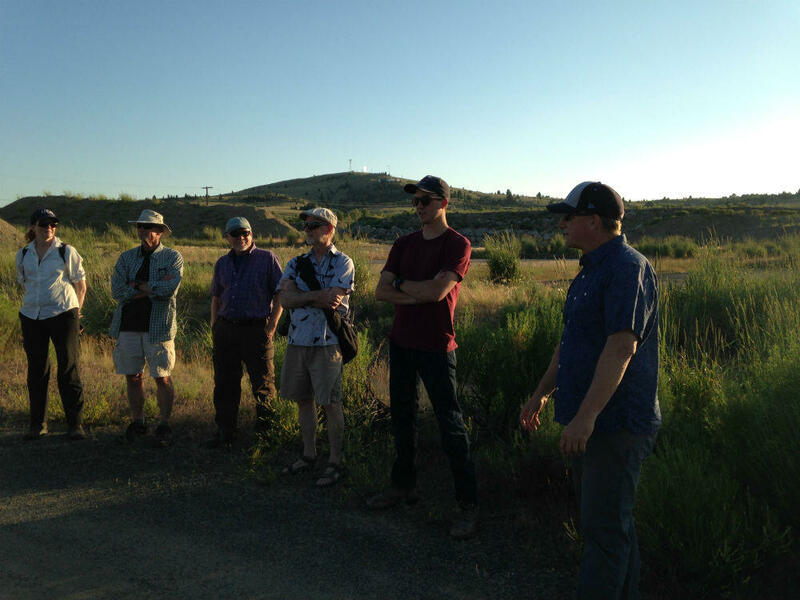 DEQ project manager, Dave Bowers (r), gives a tour of the Montana Pole and Treating Plant Superfund site in Butte to the Citizens Technical Advisory Committee. July 19, 2018.